Warner Bros. Interactive Entertainment, TT Games and The LEGO Group announced the launch of LEGO® Harry Potter™: Collection for Nintendo Switch™ and Xbox One, bringing the top-selling videogames LEGO® Harry Potter™: Years 1-4 and LEGO® Harry Potter™: Years 5-7 together in one remastered package. We will hopefully be able to share a review in the near future! 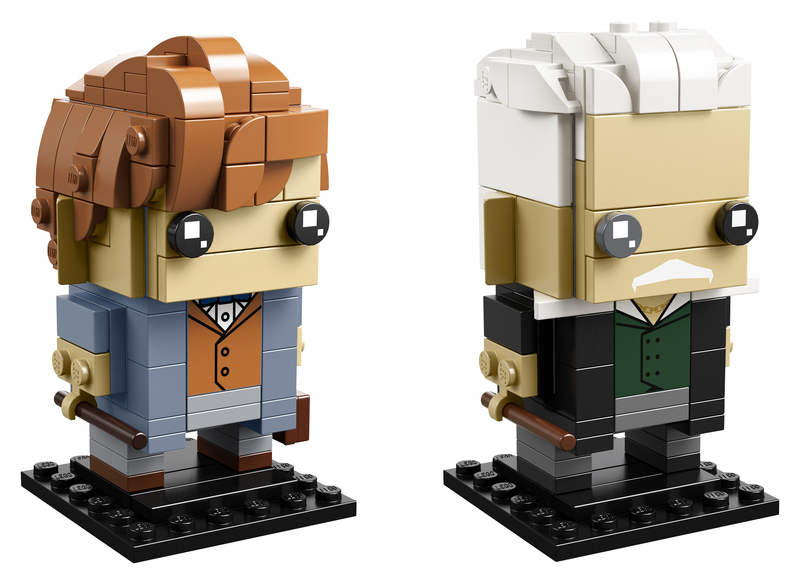 LEGO has announced a new BrickHeadz play set inspired by the Fantastic Beasts series available this October. 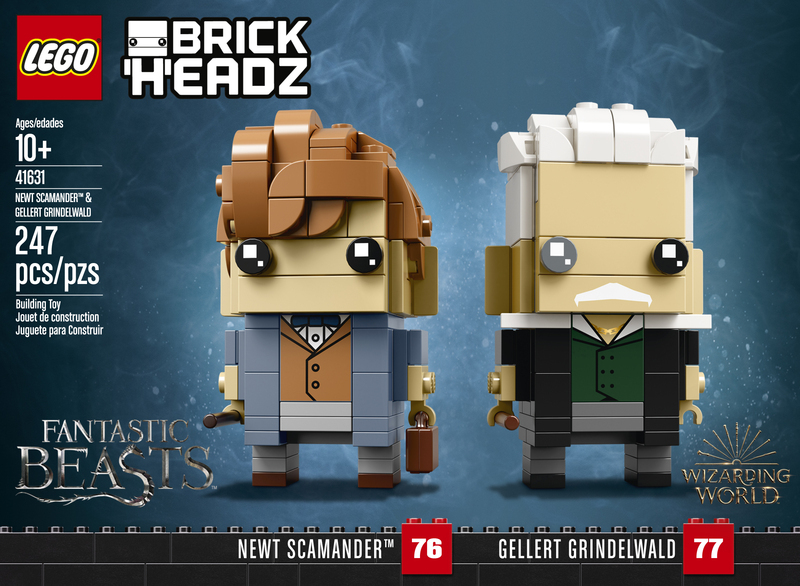 The LEGO® BrickHeadz™ Newt Scamander™ & Gellert Grindelwald play set is fun to build using colorful LEGO bricks that recreate all the iconic details from the Fantastic Beasts™ series, including Newt’s waistcoat, coat and detachable case, plus Grindelwald’s different colored eyes. Both come with detachable wands and stand on a buildable collector’s baseplate for easy display in your home, office or anywhere you like. 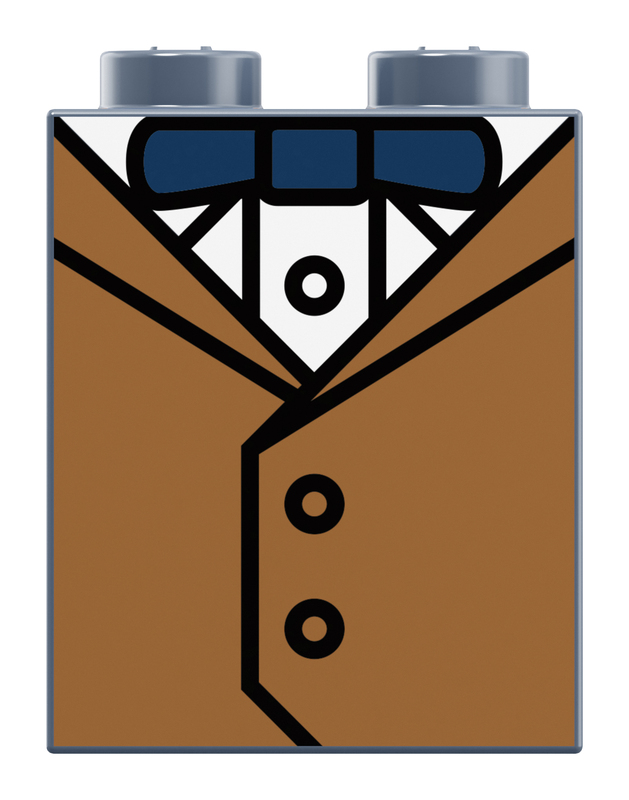 Buildable Newt Scamander™ & Gellert Grindelwald LEGO® BrickHeadz™ construction characters feature decorated eyes and authentic details from the Fantastic Beasts™ series, including Newt’s waistcoat and jacket, Grindelwald’s different colored eyes and 2 wands. Fantastic Beasts™ toys measure over 2” (7cm) tall without baseplate. 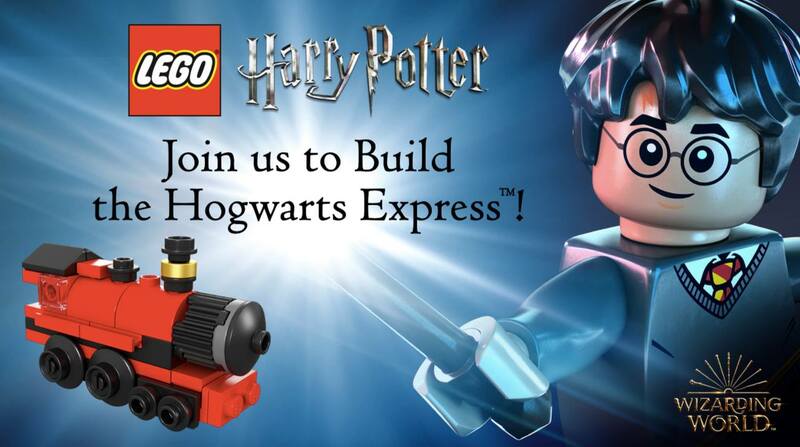 Barnes & Noble, Inc. (NYSE: BKS), the world’s largest retail bookseller, today announced that it will be hosting a LEGO® Harry Potter™ Hogwarts™ Train build event at select stores nationwide on Saturday, August 4, at 2 PM, where customers will have the opportunity to build a mini Hogwarts train that they can take home with them. There are limited quantities available and select stores may require customers to sign up for the event in advance. Customers should contact their local store for details as soon as possible so they do not miss out on this exciting event! 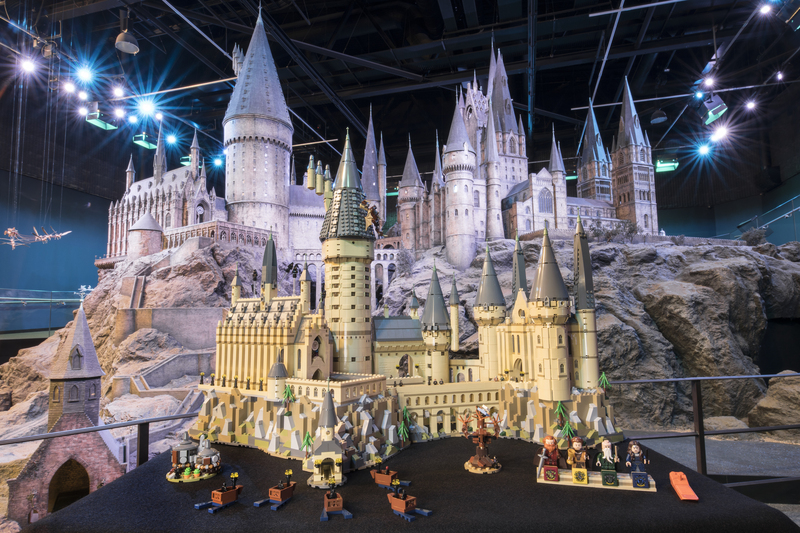 This morning, LEGO has announced the release of the largest version of the Hogwarts Castle! This highly detailed set has 6,020 pieces and is built to microscale. Hogwarts Castle measures over 22” high, 27” wide and 16” deep. Available September 1st, LEGO Harry Potter Hogwarts Castle will be sold at shop.LEGO.com and in LEGO Stores nationwide for $399.99. See detailed photos of the set can be seen here! 4 minifigures: Godric Gryffindor, Helga Hufflepuff, Salazar Slytherin and Rowena Ravenclaw, with a buildable minifigure display stand. Hogwarts™ Castle features the Great Hall with buildable ‘stained glass windows’, house banners, benches, tables, flaming torches and moving staircases; potions classroom with racks of jar elements; Defense Against the Dark Arts classroom with assorted potion jars, gramophone and a closet containing a boggart; Chessboard Chamber with chess piece elements; Room of Requirement with assorted elements, including the Goblet of Fire and the vanishing cabinet; Chamber of Secrets™ with the Basilisk and Tom Riddle’s Diary; hidden Devils Snare room with vine elements; Gryffindor™ common room with fireplace and seating; Professor Dolores Umbridge’s office with desk, chair and pink furnishings; library with bookcase and desks; and Professor Dumbledore’s office with the Griffin statue entrance and Memory cabinet. 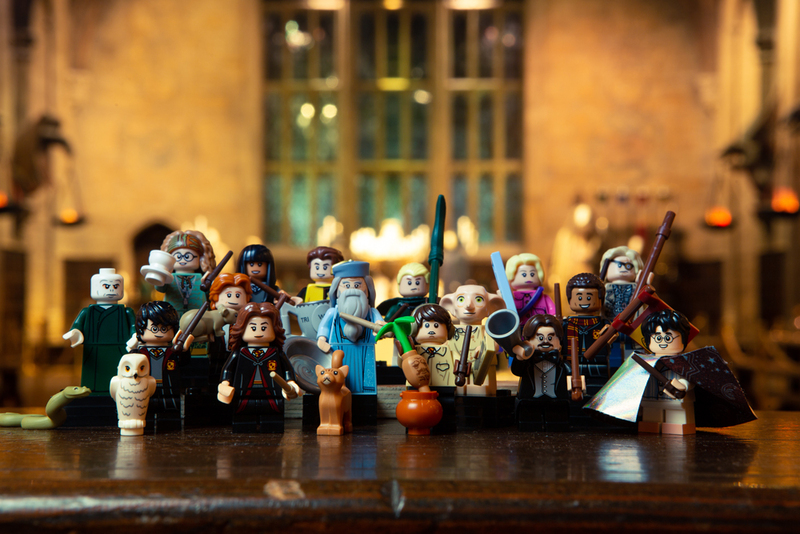 Twenty-two of The Wizarding World of Harry Potter’s most beloved characters star in an entirely new LEGO Minifigure series! 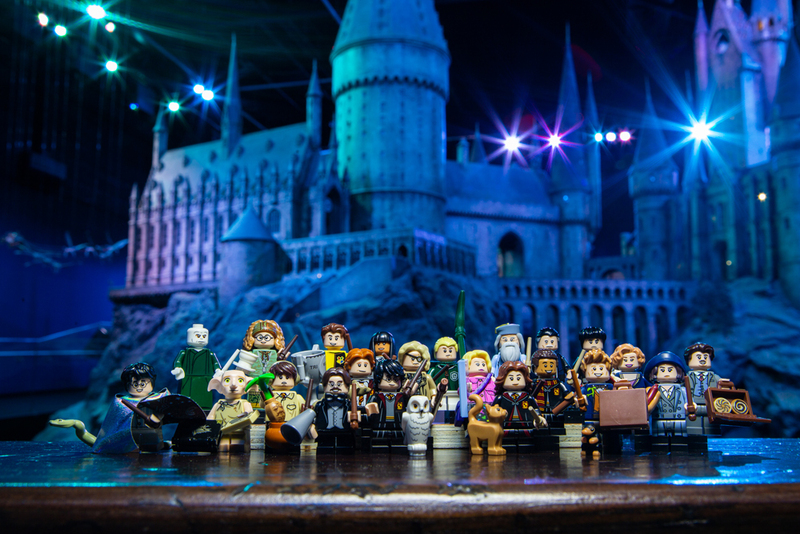 The collection features characters from both Harry Potter and Fantastic Beasts. 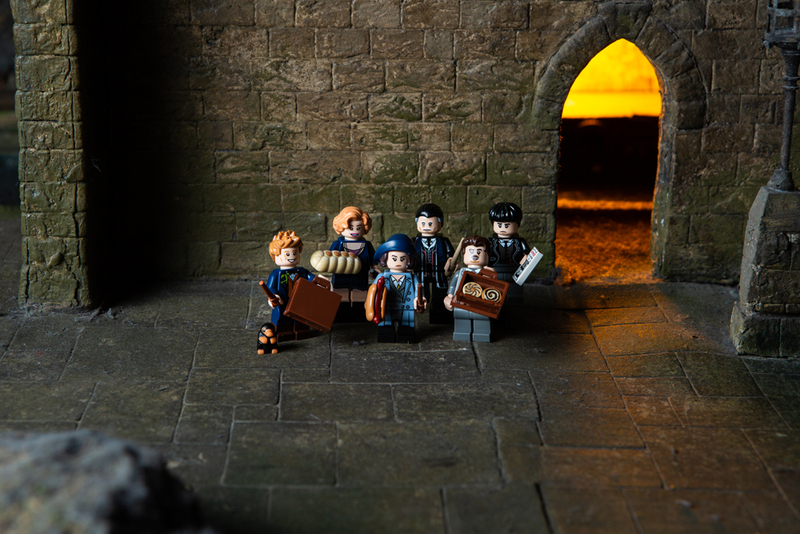 Available August 1st, the collectible Wizarding World minifigures will be sold in toy stores, shop.LEGO.com and in LEGO Stores nationwide for $3.99 each. Fan favorites from The Wizarding World of Harry Potter: Harry Potter (in school robes), Ron Weasley (in school robes), Hermione Granger (in school robes), Draco Malfoy (in Quidditch robes), Harry Potter (in Pajamas), Albus Dumbledore, Luna Lovegood, Neville Longbottom, Cho Chang, Dean Thomas,Lord Voldemort, Dobby, Cedric Diggory, Mad-Eye Moody, Professor Flitwick, and Professor Trelawney. Additionally, from Fantastic Beasts and Where to Find Them: Newt Scamander, Jacob Kowalski, Tina Goldstein, Queenie Goldstein, Credence Barebone, and Percival Graves. Read all character descriptions in the full post.